Posted on October 3, 2018 by Phoebe L.
This amazing rom-com movie was released through Netflix on August 17, 2018. Normally, the thought of a romantic movie makes me cringe, but when I first saw the trailer for the movie, I was immediately hooked. 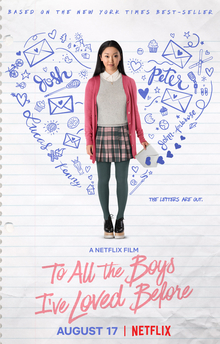 This movie is based on the book series To All the Boys I’ve Loved Before written by Jenny Han. I personally have not read the books (but planning to read them later). This story has everything from romance, to comedy, to the important lessons every teenager should know not only life but love as well. The movie is about a girl named Lara Jean Covey. She is half-American and half-Korean. Her mother passed away when she was young, so her father raises her and two other sisters (one older, one younger) by himself. Basically, the main plot of the story is that Lara Jean has these five letters. She writes them when she has a crush, “..so intense, [she] doesn’t know what else to do..” One day she finds that all the letters have been sent out… all FIVE of them!! The recipients of the letters are Peter Kavinsky, played by Noah Centineo (a dreamboat may I add), who is the hottest boy in school, John Ambrose from Model UN, Lucas from homecoming, Kenny from camp, and Josh, the boy next door (who is her older sister’s boyfriend). The rest of the movie is just about how she handles the whole situation, and the lessons she learns along the way. I totally recommend this movie. It is an amazing movie with an Asian lead– which you don’t see very often. Jenny Han’s novel, To All the Boys I Loved Before, is available for checkout from the Mission Viejo Library. It can also be downloaded for free from Overdrive. Posted on July 13, 2018 by Kate L.
I was first attracted to this book because of the cover. However, this book is definitely worth more than just the outside. The story begins within the thoughts of Juliette, the girl who was locked up in an asylum for almost a whole year, under the tyrannical supremacy of the Reestablishment. The only object that kept her from becoming insane was a notebook. Just then, the appearance of a boy that existed in her buried memories altered everything, most importantly, it had given her hope. But she knew that nothing could be a coincidence, and it has proved to be true. Juliette is no ordinary girl. She is a walking weapon. And the Reestablishment has plans for her long long time ago. Tahereh Mafi’s unique journal-like writing style for the main character has brought me into the book right from the start. Unlike any other book that I’ve read, the strikethroughs in Juliette’s journal gave me a closer insight into her own erratic thoughts and of the chaotic dystopian world. with endless fear. Fear, for the world and for her own power and what she might do, Juliette lived a life full of of shadows. Just as the propagandas of the Reestablishment, the idea of her being a monster has carved deeply into her mind and the others. Only two people thought of that differently. The two people who craved to have her, craved to want her to join their sides. Two people who are utterly different. The details of this book and the progressive plot has overwhelmed me. I witnessed the drastic change in Juliette from a weak and powerless girl to an unforgettable heroine who stood up against authority. But does she know that she is not alone? 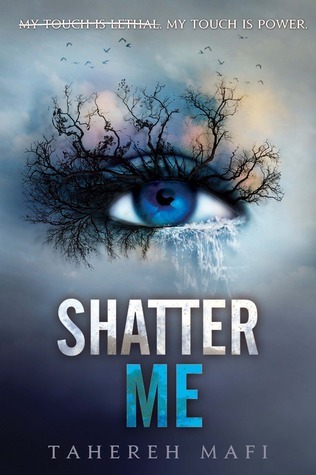 Shatter Me by Tahereh Mafi is available for checkout from the Mission Viejo Library. Posted on June 1, 2018 by Skylar N. Ohmigosh!!! That was such a good book! I loved the first one, but I adored this one. Okay okay so let’s get started. As you know, Rose is the baby sister. She is always the one that is undercover and hardly ever in the spotlight. She decides that she wants to get herself out there, at a party she meets a mysterious guy named Caden. She plans to have just a one night stand with him, but she doesn’t even get that far before he runs off, hurt, she goes on with her life. She goes off to London with her sister (if you remember, her sister, Violet got a job there with her fiancee, Ryder). Her sister invites her to a dinner party, which she attends just to please her sister…but mysterious Caden is there. But thing is, he is with another woman. Rose is surprised, but not totally surprised. She figured he’d be with a a woman if she ever saw him again. But…she wasn’t exactly expecting to see him again, none the less so soon after their last encounter. Eventually she runs off to the bathroom, and Caden follows her there. They talk it out (If I tried to explain it, I wouldn’t do it any justice). But they feel passion for each other. The next day, Rose goes out shopping and finds out that Caden has been following her the entire shopping trip. But honestly, he doesn’t follow her in a creepy way, I mean, if you want something, you need to pursue it, right? I mean, it eventually get’s the job done, they do get together, but Caden is hiding something from Rose, he has fallen in love though and fears that if her tells her his true background, she won’t want him. “But I love you. I do. I fell in love with you and I didn’t even know it until today, though really I think I secretly knew It all along. You make me feel like no one else ever has, so all I can say is thank you. It was such a great book! I would recommend it for anyone, it is that good. But it does have some mature themes, so maybe don’t read it if you are under 16? No, but seriously guys, you need to read this book! Posted on May 13, 2018 by Skylar N.
This book wasn’t really that good…It just wasn’t. I will fully say that I really enjoyed the beginning of this book. I thought it was written extremely well, not exactly the most unique story, but during it’s beginning, I enjoyed it. But then,then it started to go downhill. The second half the book was written as if a totally different person wrote it. It sucked. We got all of this useless drama, all of this bad writing. It was horrible, truly horrible. The author just added in all of this useless bickering and issues that made no sense to add to the book. It was going down a good path until petty bickering came into the picture. This is supposed to be adult fiction, not teen pregnancy book. Posted on April 18, 2018 by Skylar N.
Best book I’ve read so far in 2018. Emerson (referred to as “Em”) was in love with her best friend Miller when they were young kids. They did everything together, and when she wasn’t allowed to play football, she became a cheerleader. When Miller left in their senior year of high school, Em kept a big secret from him. Miller ends up being traded to the same NFL team that Em is cheerleading for. They have a really bad past at this point, so he is literally the last person she wants to see again. Then Grant Sanchez comes into the picture. He is on the NFL team as well. He is extremely cocky, and Miller starts fighting with him almost immediately. But Sanchez see’s something in Em the first time he lays eyes on her, she doesn’t reciprocate, but he keeps trying. Eventually, Miller and Em reform the bond that they used to share. But at that point Em likes Sanchez too. The question for her is, who will she pick? As time goes on, the choice is obvious to Em who she will pick. Yes, I know that I made this book sound like a huge cliche, but it isn’t. It is such a great, great book, and I enjoyed each and every little part of it. You will too! READ IT! Fraternize by Rachel VanDyken is available for checkout from the Mission Viejo Library. Posted on April 14, 2018 by Skylar N.
I literally could not read this book, at all. It was so darn cringey, well, I know I called The Football Girl the cringiest book I ever read but nope, it is now this one. And with this, I DNF’d. I do not need to read a book with a female character playing the “Oh look, the man is treated better than me, must be because I am a woman.” No thank you. If you don’t want to read a book that a Junior High school student wrote, do not read this. 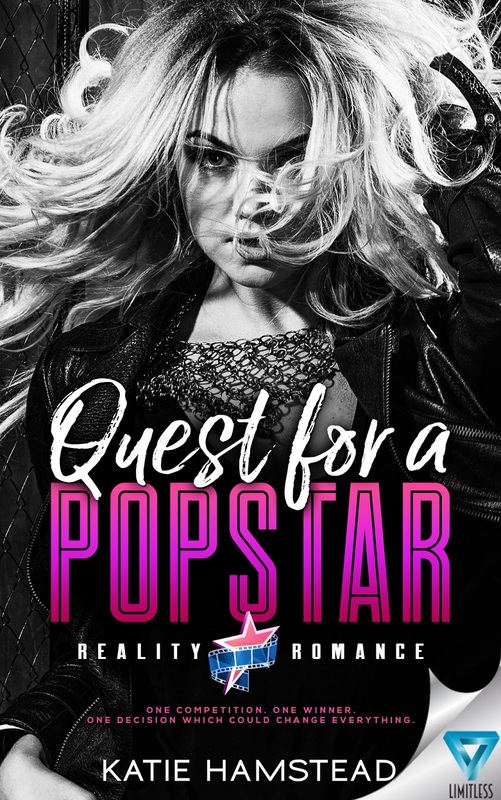 Posted on March 31, 2018 by Skylar N.
I can say that I enjoyed this book very much! To me, the awesome thing about this book is that though it was meant to be a romance, it was also a suspense book as well! Don’t believe me? Then let’s see what it’s about! Mallory was an orphan as a child in lived in an orphanage. Despite all of that, she got a full scholorship to the college of her dreams, and right as she was set to graduate, she got an internship at one of the most prestigious office’s in the world. To say she is happy in an understatement, she is absolutely enthralled. “From the beginning, I knew that she would be my greatest achievement, so the day I let her go, I set down a path for her. Now onto Miles part of the story (or, as he is known at the beginning of the book as the secretive “Oz”). The quote pretty much explains it all. He is very obsessive of Mallory and she hasn’t even met him. He met her when she was about to graduate high school and he was about the graduate college. He has watched her since then and has (as stated above) set down a path for her that will lead her to him. Now that she works in his office, that time has come. As you can foresee, Mallory eventually meets Miles and they bond instantly (well…I guess she does, he already knows her, ya know?). As his secrets come out (no, nothing earth shattering), she isn’t sure she wants to be with Miles. But guys, as creepy as all of that must have just sounded, when you read the book it really isn’t. Just believe me, when you read the book you will fall in love with Miles because he honestly says/does the sweetest things. I mean, the man loves his mother to pieces and treats her like a queen, what more can we ask for? Plus, he does mean well, he just doesn’t want to lose someone that means alot to him (love at first sight is what we’ll call this). The end of this book is hoenstly one of the sweetest/best things I have read. I just made me so happy for them! “The first time I saw you, I thought I’d woken up in the land of Oz, It was like seeing color for the first time. That all seems like alot to take in I know, and I don’t want to spoil it for you, so I’ll leave out all of the important plot twists that will literally blow your mind. Just read.this.book. 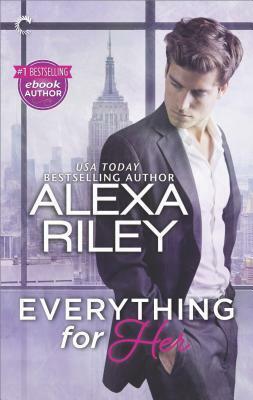 Everything for Her by Alexa Riley is available for download from Overdrive.